Old World Food Market has catered to the tastes of Nyack gourmands for years. Now their specialty grocery selection offers resident foodies an entree to one of the healthiest eating lifestyles—the Mediterranean Diet—with the introduction of Kiklos Greek Extra Virgin Olive Oil by The Olive Fruit. Kiklos is ultra-premium 100 percent pure olive juice made from only one varietal farmed exclusively in the Peloponnese region of Southern Greece—The Koroneiki olive—known as “The Queen of Olives” for its distinctive flavor and high levels of antioxidants. Studies show Kiklos has one of the highest Polyphenol counts and its signature peppery finish, called “The Kiklos Kick,” indicates the many wellness advantages of these potent phenols. The Mediterranean Diet promotes clean eating and whole foods as opposed to processed. This lifestyle reaps many rewards, including greater cardiovascular health, protecting against diabetes, Parkinson’s, Alzheimer’s and other diseases, and increased longevity. 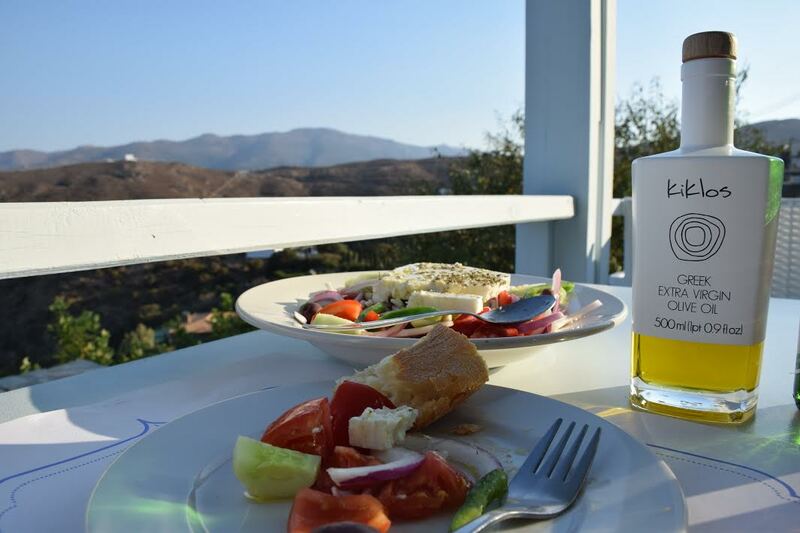 A staple of the Mediterranean Diet is high-quality Greek olive oil. Kiklos is made in small batches, like fine wine, as homage to their dedication to making genuine, unadulterated, naturally delicious olive oil. The olives are gently harvested at the peak of ripeness, then instantly cold-pressed to achieve perfect taste and maximum anti-inflammatory properties. Kiklos is never diluted, blended, or infused with additives. Because Kiklos is made in limited production to preserve quality and purity, The Olive Fruit is very selective of the gourmet retailers that carry it. Fortunately, residents of Rockland County can experience the many health benefits of the famous Kiklos Kick at Old World Food Market. “We specifically look for boutique gourmet stores that love to cater to their customers and offer them a truly authentic gastronomic experience,” said Bassett. There’s nothing more important than good health. The best defense against illness is a great offense, supported by healthy Mediterranean foods.